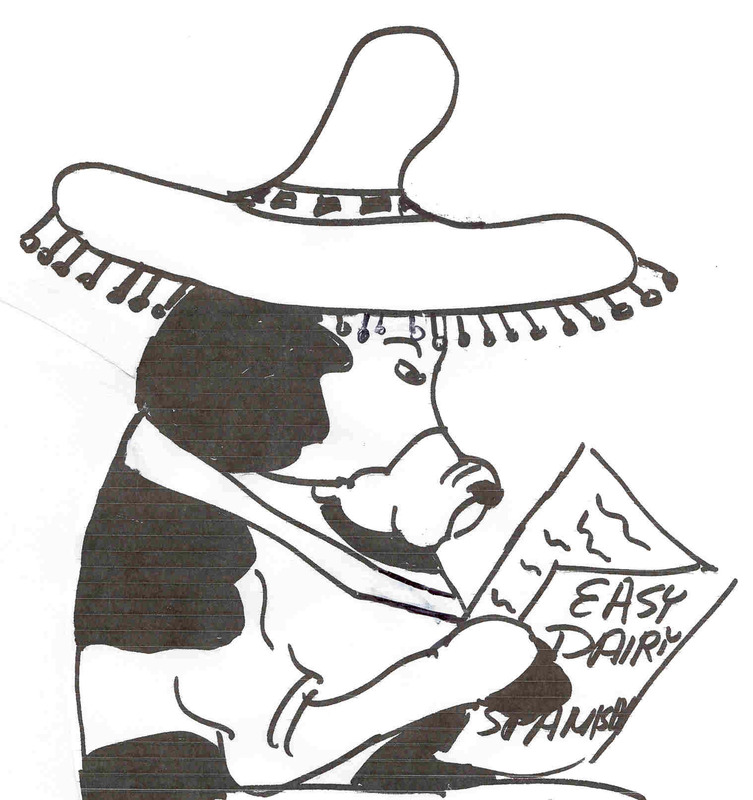 The "Easy Dairy Spanish" set is a 100-page book with a 78-minute audio CD. The CD: Words and phrases are pronounced first in English, then in Spanish, and are followed by a pause for the listener to repeat. 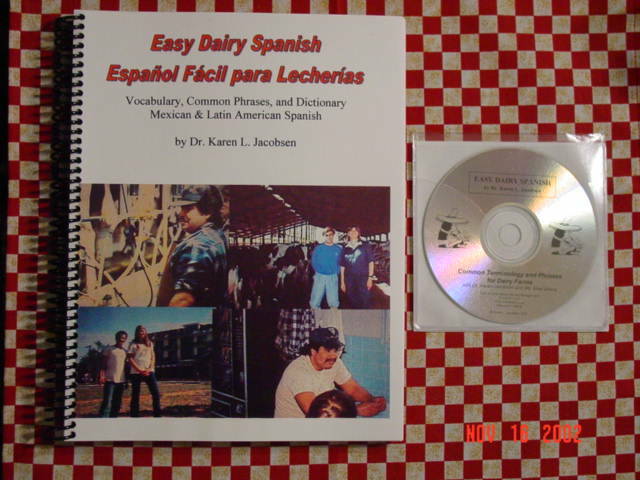 The Dairy Dictionaries are included in the book (English-Spanish and Spanish-English). These resources were developed by Dr. Karen Jacobsen, a dairy veterinarian and former University of Georgia professor. She is assisted on the professional recordings by Ms. Elsa Villena, a native speaker of Mexican and Latin American Spanish. The book and CD can also be used to help Spanish-speaking personnel learn English. (cut & paste order form). For Credit Card orders, please scroll down. Shipping & Handling: NO CHARGE for standard shipping in U.S. Please allow 3 weeks for routine orders & delivery. Order online with confidence and security, using Paypal. Click on the icon at right for Visa, Mastercard, or American Express.